How might we create a unique retail experience around our products? This question inspired the creation of Shoe Park — the first of Everlane’s experiments in physical retail. Taking an experiential approach to retail, I conceptualized and produced a temporary environment that merged shopping and the concept of play. 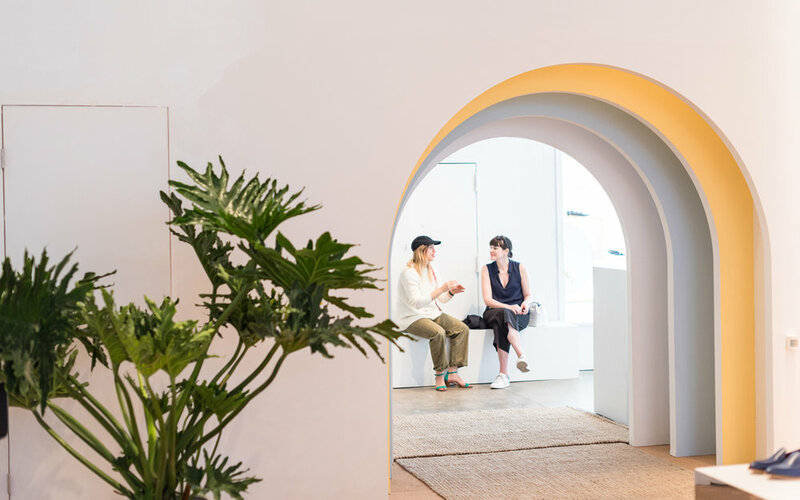 Part-retail-shop and part-social-experiment, customers were invited to remove their shoes before entering the space, so they could try (and later, buy) pairs from Everlane’s shoe collection with ease. The result was a frictionless, self-guided retail experience and, ultimately, a proof of concept for the then-online-only brand around entering physical retail as a whole. In partnership with set designer Robert Storey, the space was designed as an interactive installation — a playground, of sorts — comprised of tiered structures which doubled as merchandising fixtures and interactive elements for customers to walk on and around. In addition to concept creation and visual direction, I managed the full production of the short-term shop including retail operations, real estate scouting, event programming, and partnership curation.